The two will meet again inside Big Brother’s house. 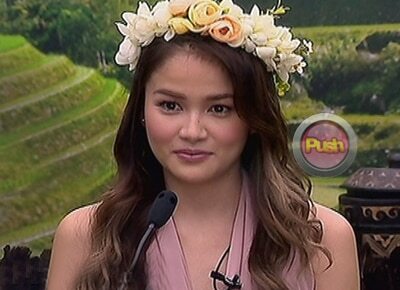 When Pinoy Big Brother Lucky Season 7 ex-celebrity housemate Elisse Joson re-entered Big Brother’s house for a special task, the teen housemates cannot help but ask about her relationship status with fellow celebrity housemate McCoy de Leon. Meanwhile, while Elisse was tasked to connect with the female teens, McCoy will also enter this season’s teen edition to guide the guys for their upcoming Ball. The next episode’s teaser showed that the two will meet again inside Big Brother’s house, with McCoy saying he wants to say something to Elisse, a message he is having a hard time telling her face-to-face. It can be recalled that Elisse and McCoy became close and were often teased by the other celebrity housemates.